Growing up in an era of segregation in Jacksonville and being raised by parents who were sharecroppers, retired Professor Emeritus Dr. Annie B. Henry always believed in the African proverb: “It takes a village to raise a child. 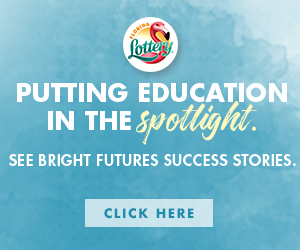 Because of her upbringing, she learned the values of sharing, giving and the power of education. 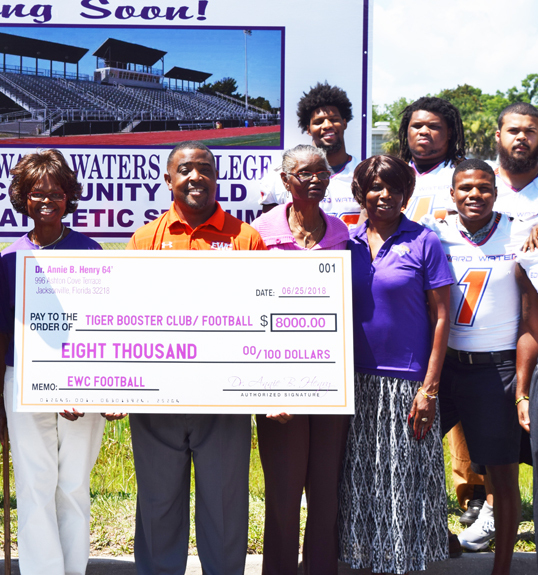 Recently, Dr. Henry reunited with Edward Waters College (EWC), the school she graduated from in 1964 and donated 8,000 to the sports program. 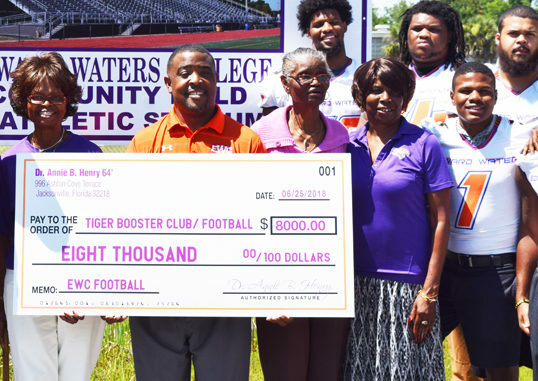 Inspired by her love for helping young people, she began volunteering at her alma mater after meeting one of the schools coaches at a local gym. Dr. Henry also earned her Masters degree from FAMU and a Doctorate from Florida State University. She has traveled the world educating State University students on the importance and impact of black history and spent a significant amount or time in the Virgin Islands and Bemidji, Minnesota. One of her most prominent achievements was the introduction Black History Month to Bemidji State University where she lived and worked as a professor for twenty-seven years. During her tenure, Dr. Henry created African American History events to educate the college and the community on black pride and success. She eventually created the Africa-American Scholarship program during her twenty-seven tenure at the college from 1987 until 2007. Dr. Henry also penned the book “The Girl from Jacksonville Who Dared to Dream, Hope and Believe.” After returning to Jacksonville in 2014, she wrote her second book “Feeling like a Stranger in Your Hometown?”. Money from the book sale was dedicated to the Dr. Annie B. Henry Scholarship fund.